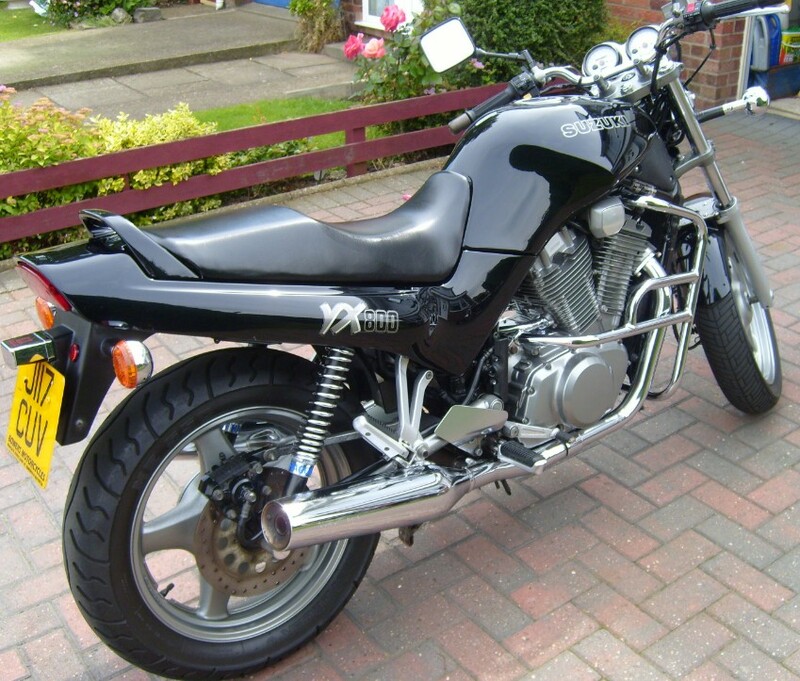 The VX800 pictured is a 1991 model and is owned by Dave Bush, a bit of a rare bike, Suzuki had these bikes listed brtween 1990 and 1996 but sales were slow. It has a slightly larger version of the same engine used in the Suzuki Intruder VS750. It is easy to maintain and a joy to ride.